I hope I'm not breaking the rules by not putting prices to these items but please here me out. 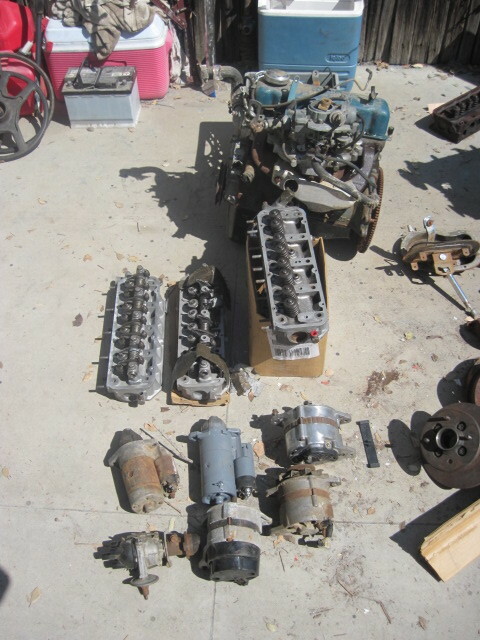 I got all of this stuff when I purchased a 1959 Bugeye. 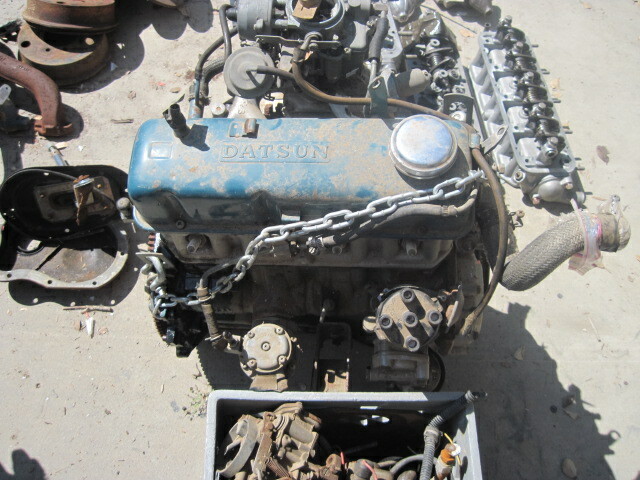 The price was right and it meant that I had to haul all of this Datsun stuff away...(The guy had passed away and the widow wanted it gone). 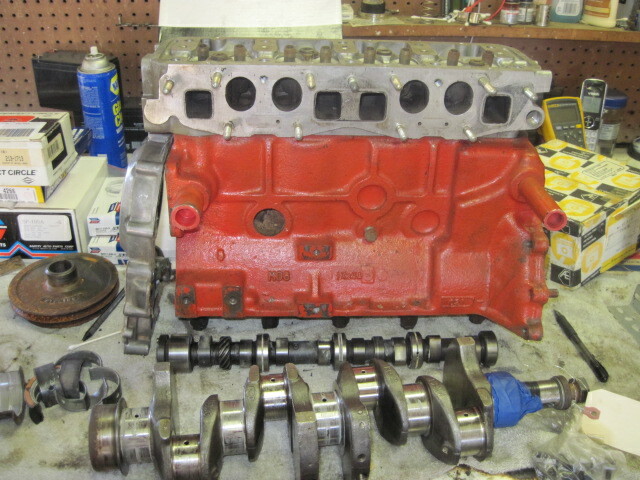 1 - A12 engine (Looks complete). 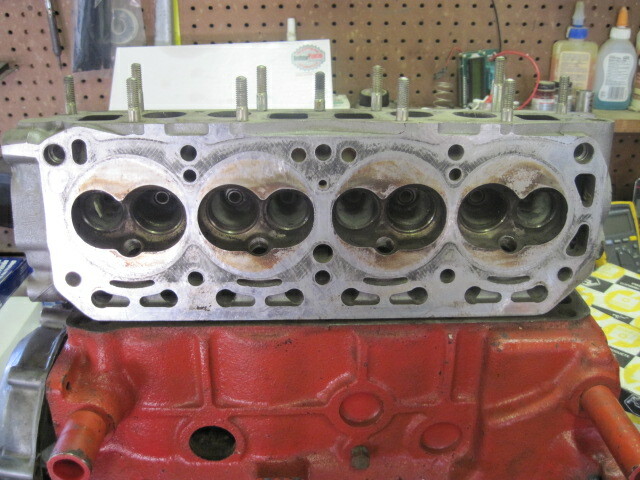 1 - A13 (missing head but has crank and pistons, pan) Original bore. 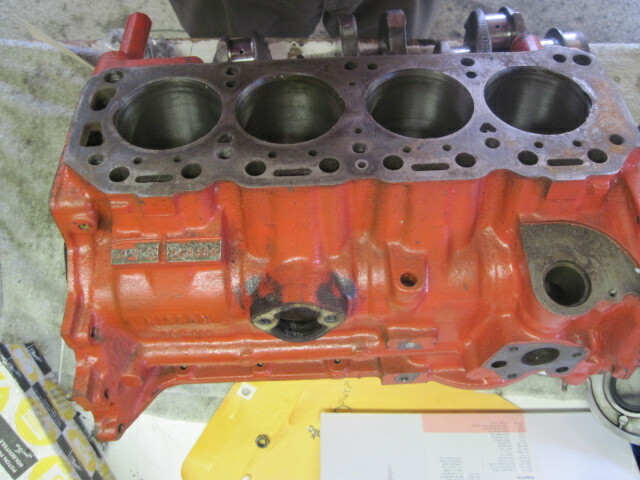 1 - A12 on my bench (See pics). 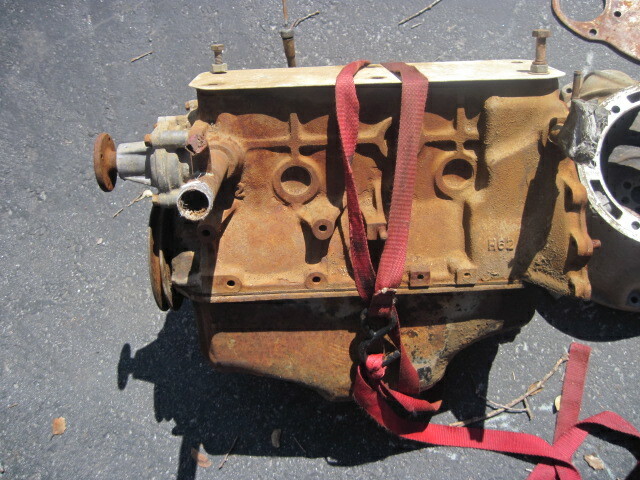 This was the engine the guy was going to use in the Healey. 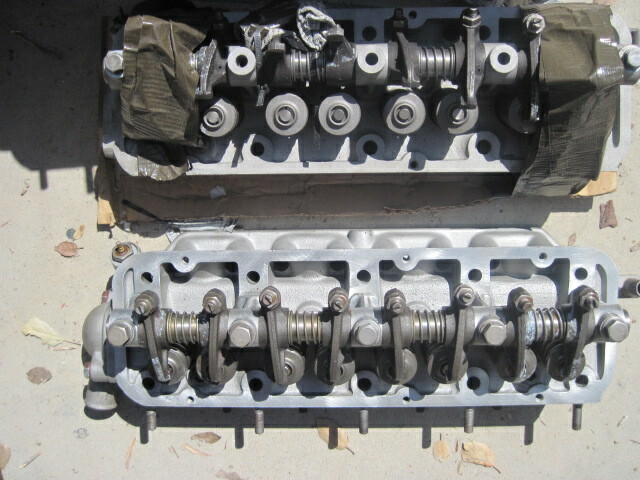 3 - A12 Heads with valves. 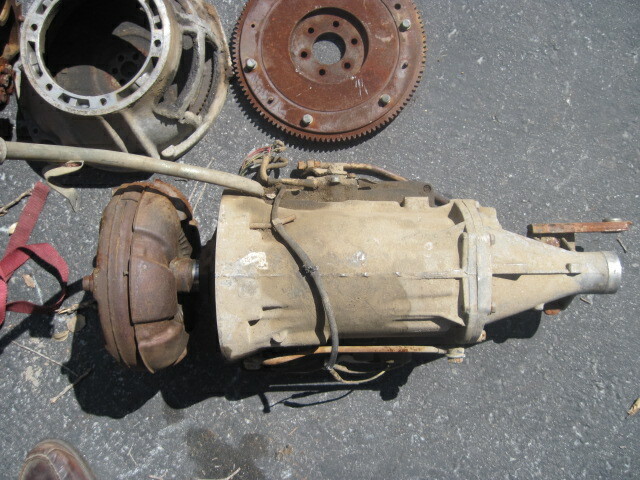 1 - Nissan Head #H9500 This is a heart shaped, closed chambered oval port head. 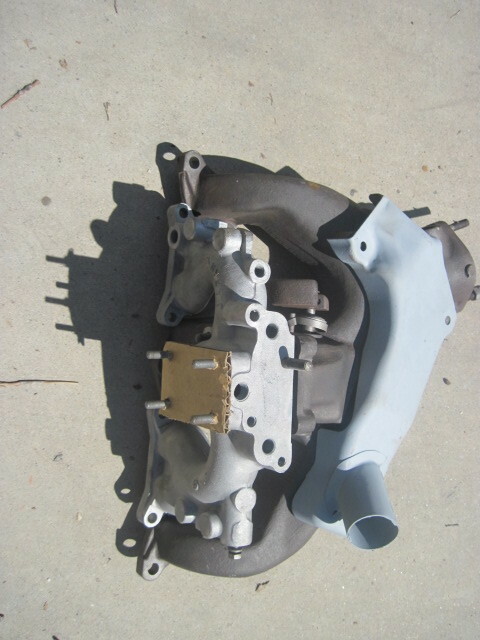 I'm told this is a later GX head but I don't know. 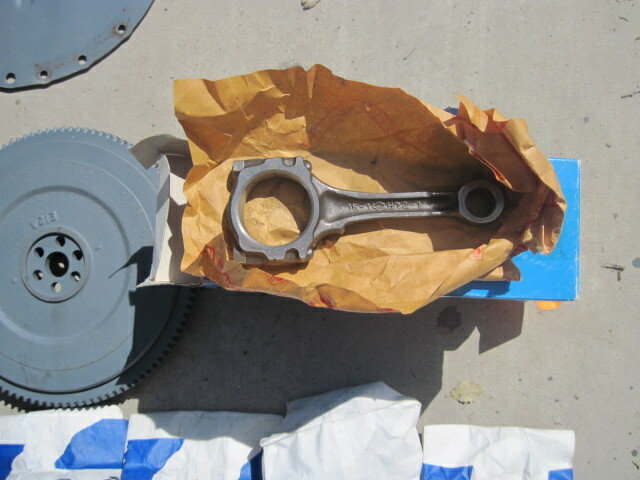 1 - Auto Transmission that has the housing and other parts(see pics) * * It's a 3N71B with "JAPAN" written under that number. 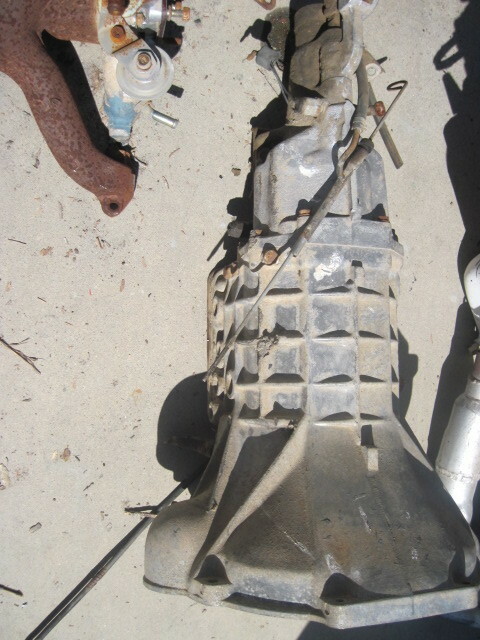 Looks NEW intake and exhaust with shroud. 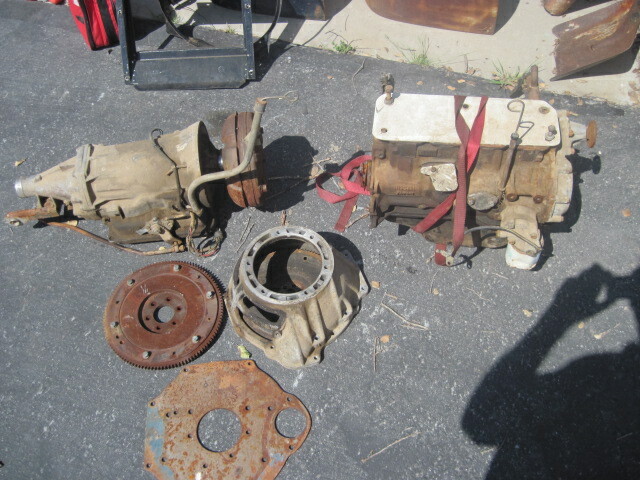 Misc A12 Rods, Pistons, Flywheels. So I'm down in South Monterey County. 1.5 Hours from S.J. Airport off the 101. I have a lift. Please no calls after 9:00 pm.
. Would really like to sell it all and would have more incentive that way.... but would sell pieces. Make me an offer.